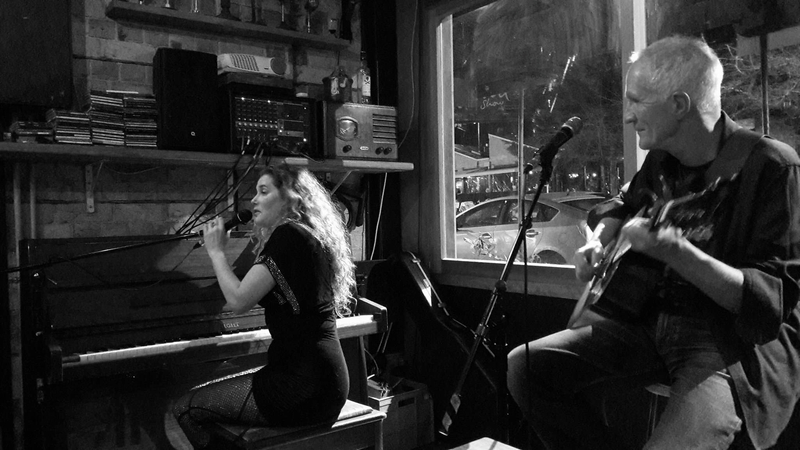 Caitlin Smith & Mark Laurent - two voices, piano & guitar. That\'s it. The famous Cafe One2One koha teapot will be on the counter & C&M will be very grateful if you\'d slip your contributions in there. Chris & Adam will be behind the bar - & occasionally behind the mic. Moth the cat will be sitting on the piano, or possibly by your chair. If it\'s cold outside the fire will be warm in inside & you\'re most welcome to bring as many friends as you can possibly think of.